Grapes are in-season and are very sweet and flavorful. Nijiya carries many different varieties grown in California from time to time. There are Kyoho, Sweet Scarlet (No seeds) and Cotton Candy now in the stores. Kyoho is plump and can be peeled. Organic Red Sweet Scarlet is sweet and with a full flavor. Green Cotton Candy was named after lightly tender sweetness. 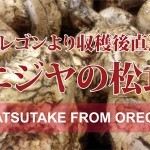 Fresh Matsutake from Oregon is here at Nijiya. They are sent directly from pickers. (Nijiya receive them directly form pickers.) No middleman means fresh and very reasonable price. Enjoy fresh in-season Matsutake while it last. With a balance of sweetness and acidity, it is exquisite. The texture melts in your mouth and has a good aftertaste. 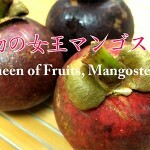 It is rich in potassium, magnesium, zinc, vitamin B1, and dietary fiber. The effects includes: prevention of glycation, raise in immunity, and it prevents aging. It is easily able to be cut by a knife, and you could take out the contents by hand. It is one of the many mushrooms with a fragrant and great texture that line the European Marché (Market). 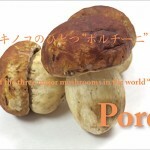 It is a popular mushroom in spite of being a high quality ingredient. It has a sweet fragrance, crisp flavor, and great texture. It is delicious in pasta or sauté. 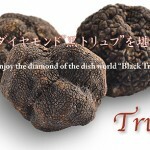 Let’s enjoy the diamond of the dish world “Black Truffle”! This black truffle is called “black diamond” for its splendid rare taste and fragrance, scarcity value, and high price. It can be used in pasta or soup! Carefully remove the surface dirt and cut into very thin slices. It is recommended to be combined with rice for a lavish risotto. Enjoy it together with porcini for a luxurious flavor. we recommend that you eat organic kiwi without peeling it! Did you know…kiwi fruit is a great source of dietary fiber! That is why we recommend that you eat organic kiwi without peeling it. In addition, it is a good source of Vitamins C and E, to protect your skin from UV rays. It is also effective for getting beautiful skin. 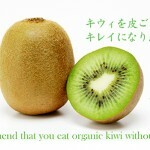 So get Nijiya’s fresh organic kiwi, rinse it off, and eat it as is! In the1970s a citrus grower in Japan set out to develop a fruit which would combine the best of the easy-to peel. 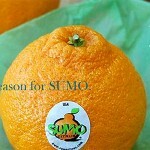 Satsuma with big, juicy sweet oranges from California. This new fruit proved challenging to grow, but thankfully, grower persevered. It took over 30 years, but his hard work was rewarded. This new variety became the most prized citrus fruit in Japan and Korea. Now this legendary fruit, which is called Dekopon in Japan and Hallabong in Korea, is finally available for the enjoyment of consumers here in America. It’s grown on farms in California’s Central Valley to the same exacting standards of the original Kumamoto farmer. It is the biggest mandarin you’ve ever seen. It has a distinctive shape with a prominent “top-knot”. The peel is bright orange, bumpy and loose so it peels effortlessly. The delicate sections separate easily. It’s seedless, juicy without being messy, and it is quite probably the sweetest citrus you’ll ever eat. Morchella has a shape of an egg, and its texture looks like a beehive. Besides from its appearance, what makes it more unique is that this mushroom is hollow. 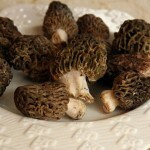 Morchella mushroom is pretty famous in Minnesota and is known as the state’s mushroom. Even though it has thin flesh, it becomes crunchy when it is heated, and has an aftertaste of a mushroom. It goes well with oil and cream, so it is recommended to be used in gratin and stews, or even used in soups and stir-fry. There are many kinds of peaches in US. Since America’s mainstream “Stone Fruit” is hard and small, soft and large-sized Honey Peaches are amazingly delicious. 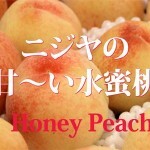 Nijiya’s California Honey Peaches have smooth texture, very juicy and sweet taste. Sugar content is surprisingly 19%! Please appreciate it soon since these Honey Peaches are only here for a short season! Now is the season of the fruits! Berry Fair. 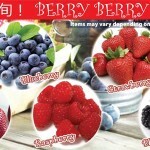 Delicious berry are available this year. Strawberry, blue berry, raspberry, blackberry. Driscoll’s Berry is proud of its history of 100 years! Berries that are antioxidant-rich, with its unchanging taste! Please try these nutritious berries today!